We are a coalition of companies interested in bringing technology solutions to the US electric transmission system to improve reliability and efficiency for American citizens and businesses.  Read about the opportunities for these technologies and WATT’s plans here. Our members include Ampacimon, LineVision, Inc, Lindsey Manufacturing, NewGrid, SmartWires, and WindSim Americas Inc.